Here's what the stylemaker and business partner Laurenne Resnik have to say about their new endeavor, Bloom2Bloom. It's going to be a fantastic year for Whitney Port. 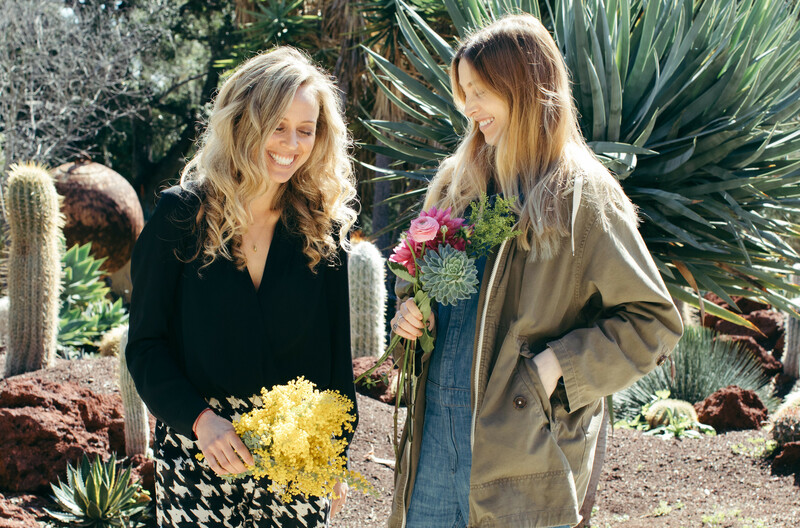 In addition to welcoming a baby with husband Tim Rosenman later this year, the stylemaker and Hills alum is also hard at work with her latest business endeavor: fashion-forward flower brand Bloom2Bloom. She and friend Laurenne Resnik joined forces on the line, which features beautiful fresh-picked, U.S.-grown flowers. 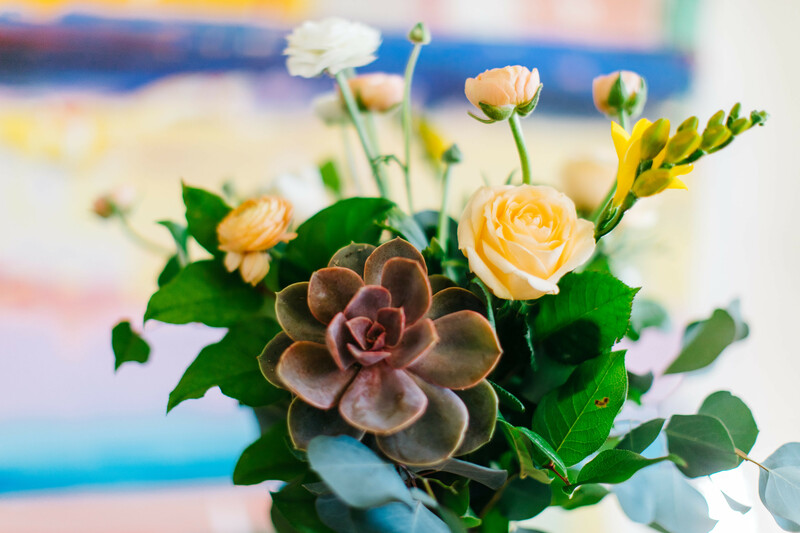 Bouquets range from a very reasonable $45-55 and often feature fun pops of color and playful succulents. The brand's other focus? Giving back. With each Bloom2Bloom purchase, a portion of the proceeds is donated to Wish Upon a Teen's Design a Room program. It's a win-win, really, and the flowers are truly beautiful and always picked 24 to 48 hours before they arrive at your door. 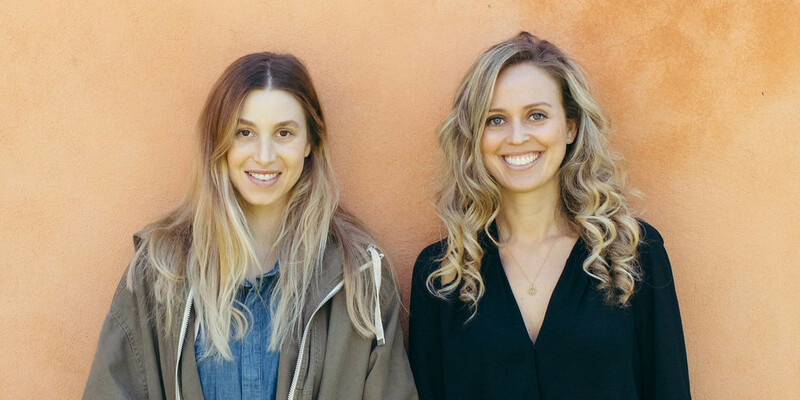 We asked Whitney and Laurenne about the brand, their advice for female entrepreneurs, and what living beautifully means to them. Livingly: What made you want to start a flower brand? 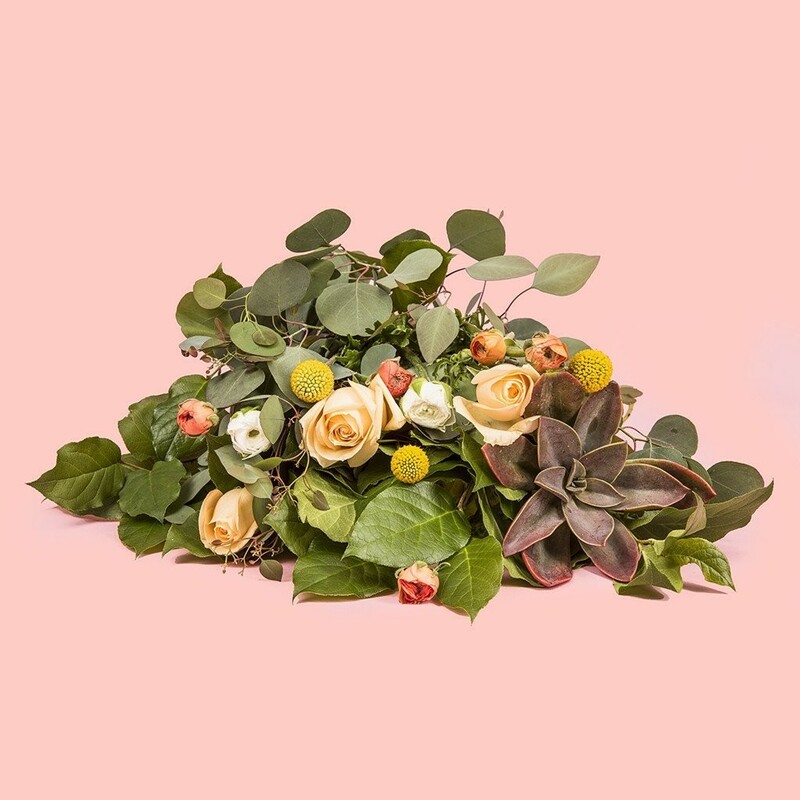 Laurenne: We started Bloom2Bloom to bring the first fashion-forward flower brand to make fresh, locally grown blooms accessible and convenient. Our goal is to get locally grown, fresh flowers that give back in the hands of as many flower consumers as we can, and to make purchasing fresh flowers an everyday purchase, not just a luxury purchase. What inspires the Bloom2Bloom bouquets? 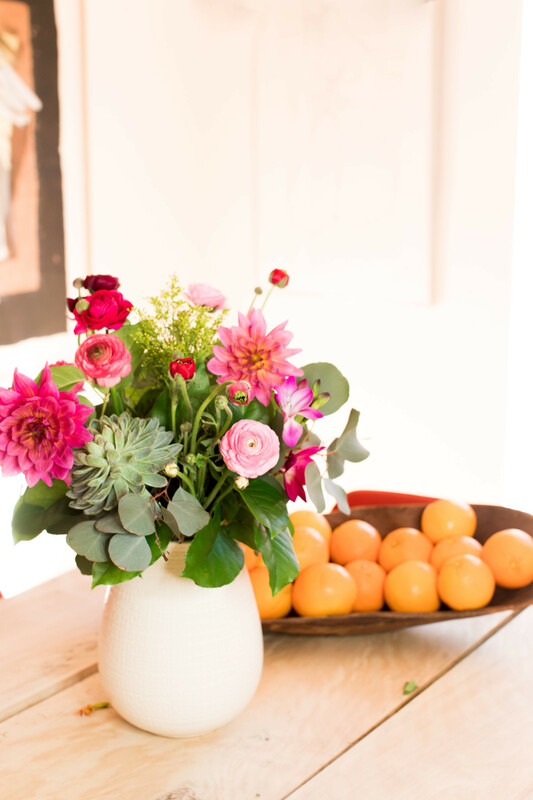 Whitney: We are inspired by the flowers that are seasonably available at our farms! We try not to come up with our bouquets with specific flowers in mind, because we want to be intentional in using what’s freshest at the time at our US farms. Once we know the blooms we’re working with, we draft a lot of options to determine our perfect look. I draw from my experience in fashion and look to current trends to influence our bouquets. We love a bright, fun and sleek aesthetic - something that will always take a room to the next level by bringing a pop of color and sophistication. Why was it important to include a charitable aspect to Bloom2Bloom? Laurenne: Gifting flowers is a way to show you are thinking of someone. We at Bloom2Bloom care deeply and wanted to be sure our flowers spread as much joy as possible following our model “Where Happiness Grows”. We chose to work with Wish Upon A Teen to have the chance to make sure teens fighting life-threatening illnesses know they are thought of, and that we want them to smile. Just like our blooms brighten our customers' homes, Wish Upon a Teen’s hospital room makeovers completely transform the patient's space making it brighter and more joyful. It’s rewarding to know that our blooms help make this possible, with proceeds from each bouquet going to Wish Upon a Teen. What kind of clients will love Bloom2Bloom? Whitney: They are conscious shoppers who care not only that their flowers are beautiful, but that they were farmed sustainably. They love Bloom2Bloom because the flowers consistently arrive as pictured, last for days and give back. How do you see the brand growing over time? Laurenne: Over the next year we’re excited to begin a few creative collaborations with unique retail partners, making Bloom2Bloom available at convenient brick-and-mortar locations in addition to online. Retail locations and collaborations to be announced soon! 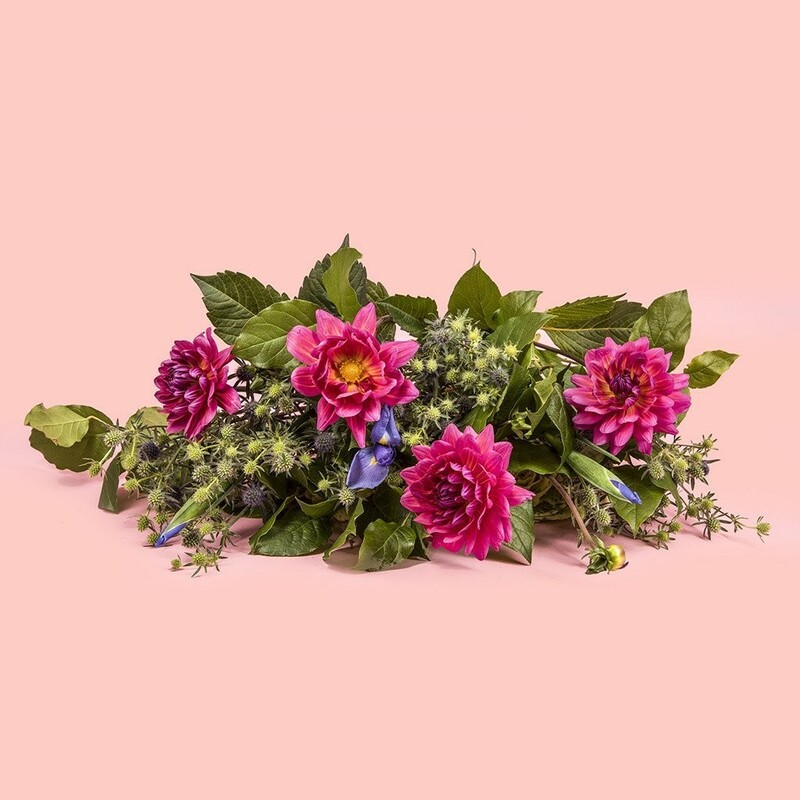 In five years, we hope Bloom2Bloom will be a household brand name and that you’ll always be able to spot the unique style of a Bloom2Bloom bouquet. How do you each see your own personal lives and experiences shape the business and how do you balance all of your other endeavors (and impending motherhood!) with being entrepreneurs? Laurenne: I have had a lot of support from my family. I originally went to school for journalism, and even have a master's degree in the subject. There was a moment for me when I realized what I really wanted to do was bring happiness to people in the form of flowers, and I am grateful to my husband for being that person to encourage me to take the leap into Bloom2Bloom. I also knew, from day one, that I wanted to give back and build that into our business model. Knowing that we’ve created Bloom2Bloom to be a place where happiness grows serves as a reminder that this is why we’re here, even on the hard, long days, it’s all worth it! Whitney: My experience in fashion certainly affects how I approach flowers. Laurenne and I also each bring our personalities, which leads to much laughter and fun when things get busy! Motherhood isn't in full swing just yet, but won’t that be interesting? I’m sure there will be a learning curve when I need to integrate that new role into my life, but I’m so up for the challenge and feel honored to be entrusted with the wonderful responsibilities. I imagine it will involve setting realistic priorities and being incredibly communicative with my two partners — in both Laurenne and my husband Timmy. They are both such awesome supports! Which is your favorite Bloom2Bloom bouquet right now? Laurenne: The Lovely - I adore the deep bright, pink pops of color in it. Whitney: The Spring Fling - I love that it includes a succulent! What advice do you each have for other women who are looking to start their own business? Laurenne: Pinpoint your vision and work towards it! Our vision ‘Fashion-forward flowers for your everyday life’ is our main focus right now. Having a clear vision is key to creating a cohesive, memorable brand and essential when re-launching in such a fast-paced environment. One you have that, it can propel you forward as a goal to work towards. Don’t be discouraged if it doesn’t happen right away, these things take time. Whitney: Do something you love and find a way to give back. It's going to be something you work hard at every day, so be sure to pick something you are really passionate about! You can make your work even more meaningful by building in social impact wherever possible. Laurenne: Finding beauty in the every day - sometimes we latch on to the rare, technicolor moments (weddings, vacations), but true beauty is found in the small details. In small acts of kindness. In a beautiful flower. Whitney: Living life beautifully is living in the moment and embracing the love around you. I’m lucky to have a community of supportive and inspiring people, who remind me every day that life is beautiful and to live it as such.